Based in Papua New Guinea, CHM Supersound has been producing the best in PNG and South Pacific music for over 35 years. In that time they have produced and accumulated a catalogue of over 30,000 songs, 3,000 albums and over 1,000 music videos covering over 100+ languages – making them the most diverse and largest record label and content rights holder in the South Pacific region. In addition to working with some of the biggest and most well known artists from PNG and across the South Pacific, CHM Supersound’s strong track record and history of delivering hits and high quality content has led them to partner with major organisations such as FIFA, APEC, Pepsi, Red Cross, the Pacific Games and many others to produce songs, videos, concerts and TV shows for the PNG, regional and international market. A full service record label with recording studios, video production capabilities, a publishing company and a marketing/promotions team – CHM Supersound has evolved to the ever changing music industry landscape by embracing digital platforms and new technology, investing heavily in digital capabilities across digital distribution, digital marketing and social media promotion. Their mission is to take PNG and South Pacific Artists and Music to the world. 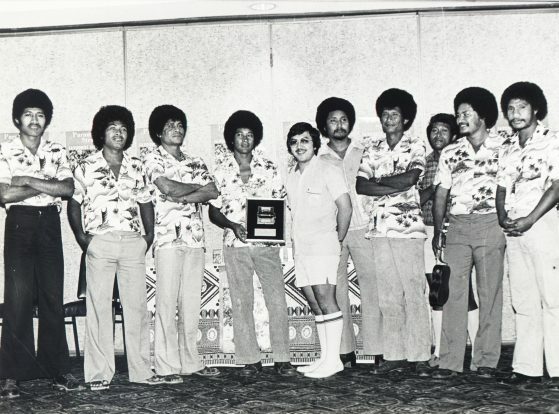 It all began in the early 60’s and 70’s when the founder of CHM Supersound, Raymond Chin, a musician himself who played the bass guitar, joined the popular ‘Stranger’s band in Rabaul, an island north of the mainland in PNG. From playing gigs and developing a reputation for himself as one of the best musicians in the music scene, a friend of his introduced him to the legendary Black Brothers band from West Papua. 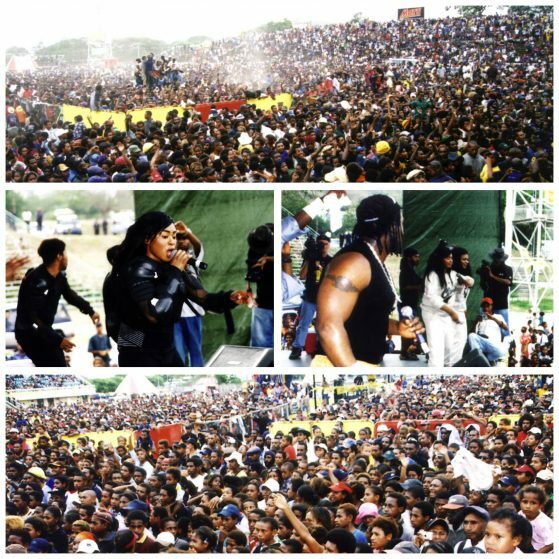 He was fascinated by their style of music and negotiated for the release of the album in PNG. The Black Brothers took PNG by storm. This success was the catalyst which made Raymond decide to open up his own studio and that was the start of CHM Supersound Studios. Born and raised in PNG, Raymond believed that PNG music had a lot of potential for a great future in the music industry. He took a bold step when he started his original 8-track recording studio in 1979 and the rest as they say is history. CHM Supersound was the first commercial recording studio established in PNG. The company through Raymond’s vision recognized that PNG had a wealth of musical talent lying untapped and all that was required was a means of letting this talent get unleashed. CHM Supersound Studio recorded the first generation of PNG bands and artists in the early eighties. The first band that recorded under the CHM Supersound label was the Paramana Strangers. Other prominent bands soon followed like April Sun, Sanguma, Gwadus, New Krymus, Helgas and many others. The company also started signing up new artists from the Papuan region. Through its unique association in this infant industry, CHM Supersound acted as a form of catalyst prompting local groups and musicians to produce good local music by giving them support and assistance. As the company’s goal was to expose PNG music to the rest of the South Pacific, Raymond decided to embark on a very ambitious program. 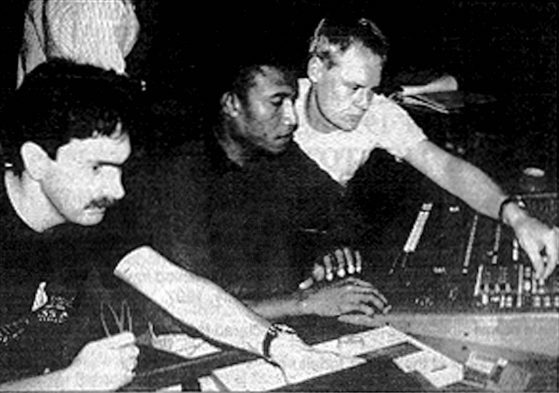 Through the production of a unique and refreshing 2 hour program, PNG music was broadcasted in Honiara in 1985 through the Solomon Islands Broadcasting Commission Network. ‘CHM Supersound Hits’ became the first international radio program produced in PNG and soon expanded to being broadcasted in Vanuatu as well as Australia. CHM Supersound evolved from strength to strength. Starting with a modest operation back in the eighties, growing to a powerhouse label during the 90’s and early 2000’s, once it acquired it’s main competitor Pacific Gold Studios in 2008, it became the dominant label in PNG and the South Pacific with a catalog of more than 3,000 albums and 30,000 songs. Raymond Chin himself will always be remembered as the father of modern PNG music. He gave PNG music a new meaning and life. He nurtured PNG music from infancy to help it thrive during the 80’s, 90’s and early 2000’s and helped many local PNG artists reach stardom and make a living doing what they loved – making music. In addition he helped to put PNG music on the map and inspire the music industries of nearby Pacific countries. 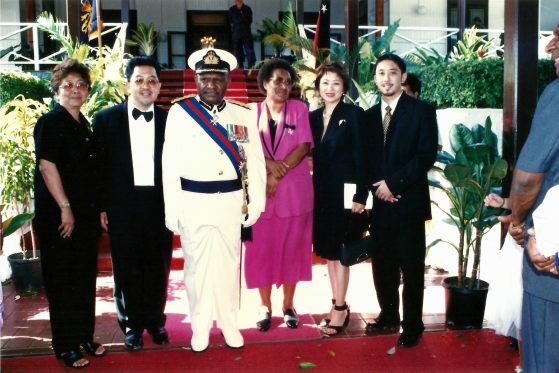 He was awarded a Member of the British Empire designation in 2008 for his contributions to the development of the PNG Music Industry. © 2017 CHM Supersound All Rights Reserved.